Inspired! Music Practice Journal is a great app for all musicians. Inspired! is designed to help organize and track practice. 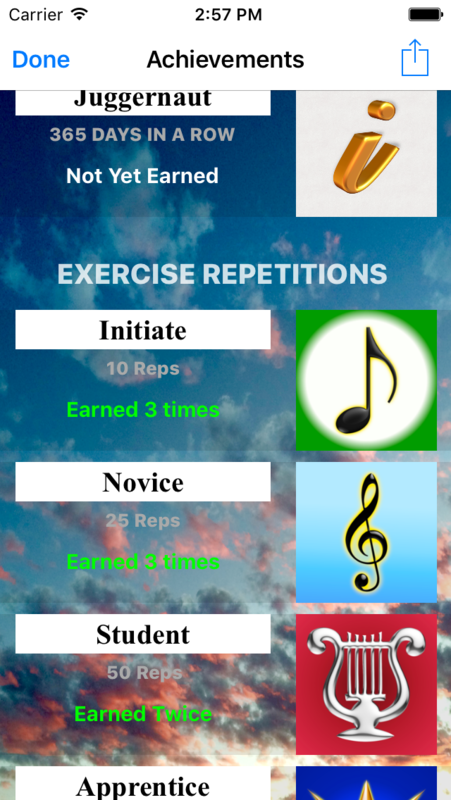 It is also the first music practice app that allows students to earn and share achievements for meeting practice goals. A large collection of encouraging quotes are included to help keep students motivated and on track. 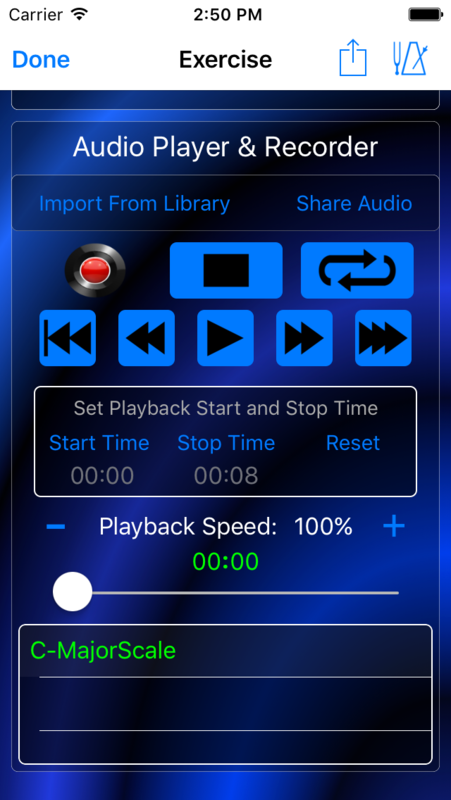 The app also includes an audio player and recorder that enables playback from 40% up to 200% of normal speed without changing pitch and at the highest possible quality. 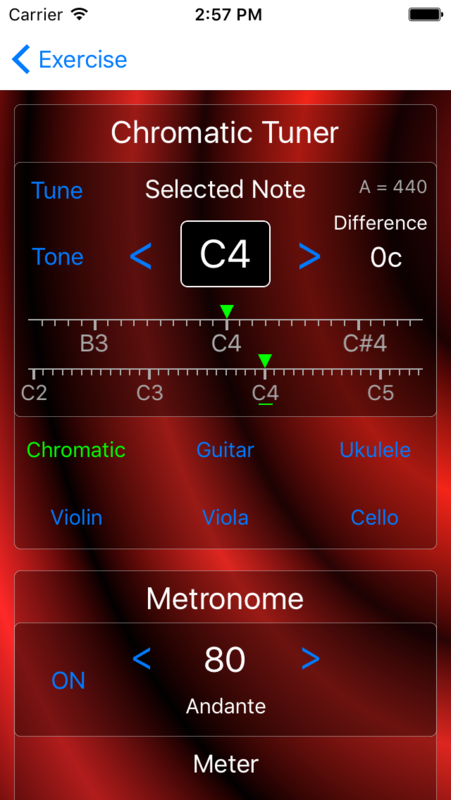 This app also includes a tuner, tone generator, metronome and over 20 backgrounds to choose from. No other app offers all of these features together in one package. Inspired! 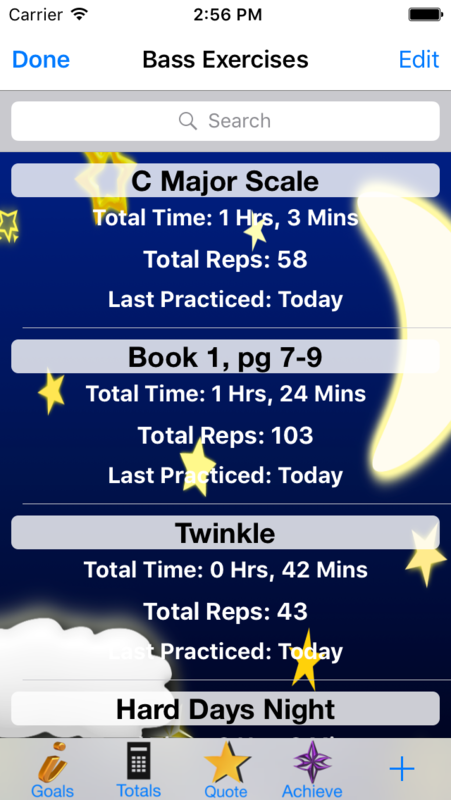 Music Practice Journal requires iOS 8 or higher and is available for iPhone, iPad, or iPod Touch.